The ATP Asian swing kicks off this week with two ATP 250 level stops in China, here is your full previews with predictions. 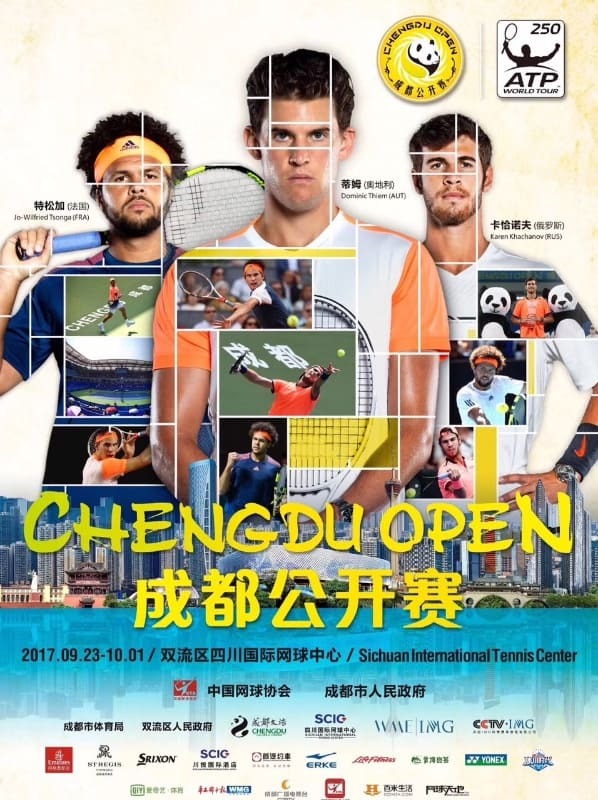 Dominic Thiem highlights the field in Chengdu, coming off the Laver Cup exo, Thiem should be tested by Borna Coric in round 2, and either Nikoloz Basilashvili or Viktor Troicki in the quarterfinals. Basilashvili reached the semis in Metz, and his promising form means he should push Thiem in the quarters, presuming the Austrian is fit, he should reach the semifinals. Andrey Rublev and Metz champion Peter Gojowczyk look to be on a collision course for the quarterfinals. Rublev’s form should help him past Taiwan’s Rendy Lu, and either Gojowczyk or Leonardo Mayer in the quarters. Japan’s Yuichi Sugita has had a career best year, Sugita should find his way past Albert Ramos or Dusan Lajovic in the quarterfinals and has a chance to be champion this week. Kyle Edmund and Karen Khachanov could face off in the quarters, but the in-form Jan-Lennard Struff could disrupt the apple cart. Khachanov isn’t in the best of form, Struff should beat Denis Istomin and Khachanov. Edmund will line up opposite the struggling Bernard Tomic, Jared Donaldson or Stefanos Tsitsipas will follow. Donaldson is dangerous, but presuming Edmund is fit he should have the edge all the way into the semis. Thiem and Edmund should be favorites to reach the final, with Thiem a likely champion in this competitive tournament. The Zverev brothers lead the Shenzhen field. Alexander, the top seed, opens with Davis Cup hero Steve Darcis or wild card Ze Zhang, Damir Dzumhur, the St. Petersburg champion, will face John Millman to open, I have Millman finding form and beating Lukas Lacko or Marcel Granollers after beating Dzumhur, and then falling to Zverev in the quarters. Mischa Zverev opens with Dudi Sela or Matthew Ebden, Alexandr Dolgopolov should overcome his countryman Sergiy Stakhovsky, (and Lloyd Harris in the first round), I have Dolgopolov beating Zverev on account of Zverev not being 100% fit. David Goffin should get past Evgeny Donskoy or Akira Santillan, with Donald Young or newly married Jeremy Chardy up in the quarters. Unless Goffin is in poor form he should be safe to reach the semis. Joao Sousa is a strong favorite to emerge from his section, he opens with Henri Laaksonen, Marius Copil or Malek Jaziri will follow, with Paolo Lorenzi or Rogerio Dutra Silva likely in the quarters. Alexander Zverev and David Goffin are the co-favorites to take home the title in Shenzhen, and I give the slightest edge to Zverev by virtue of his tremendous season.